When I was a teenager (talking late teens) skincare was never something I really bothered with. I'd take off my makeup with the Payot cleanser and toner and that would be as far as it would go! Since then I can no longer get my hands on that brand which makes me sad as I adored it. Anyways as much as I wanted to get into skincare I just couldn't, but now more recently especially last year I've gradually started to take care of my skin. I decided to put a few of my favourite affordable items together because sometimes you just don't have the money to splurge on the latest moisturiser or the new releases. I've used all of these products and I adore them. One thing you will notice is most, if not all contain natural ingredients which I've started getting into also! What are your favourite affordable skin care products? I love the Garnier Micellar Water so much I use it constantly! 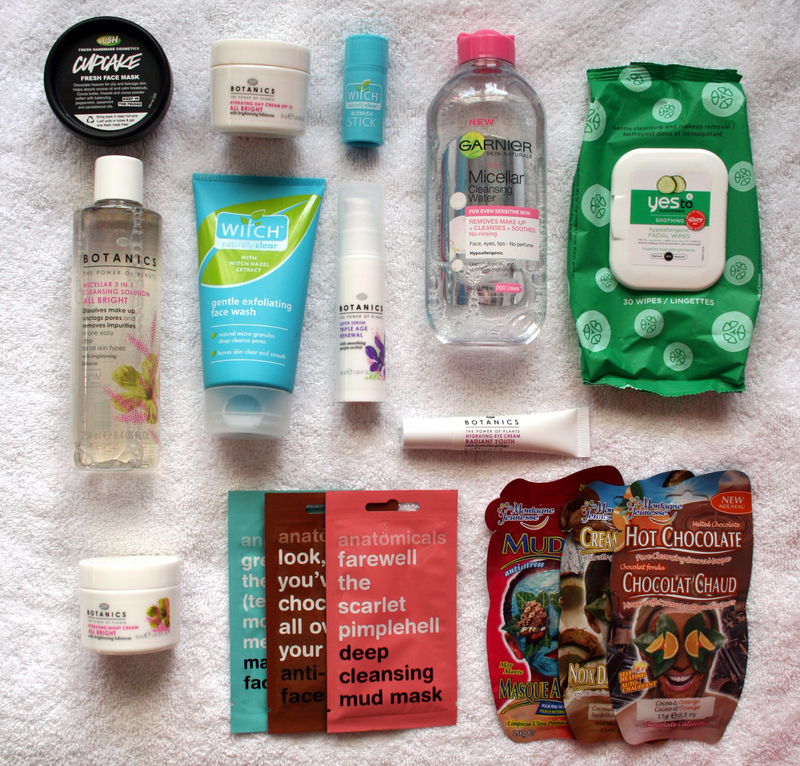 Great post definitely want to try out the Lush face mask!! I love the Botanics range of skincare, and the Garnier Micellar water is fantastic at removing makeup, even stubborn waterproof mascara. Garnier Micellar Water has become a staple part of my routine - it works just as well and is so much more affordable than some of the alternatives out there. I definitely agree with the Lush Cupcake Face Mask. It's been amazing for my skin!